Content around national holidays, bizarre holidays, and even local festivities draw huge crowds on social media. By now, we creatives openly acknowledge the fact that art involves some degree of imitation. This does not mean that we copy, but that we seek inspiration from those content creators who have done an excellent job. At Unmetric, we constantly measure and monitor our marketing efforts. We’ve found that we get a lot of engagement (and conversions) from our content on social media holidays, like this Mother’s Day article. So, how can you take advantage of social media holidays to increase engagement on your channels? 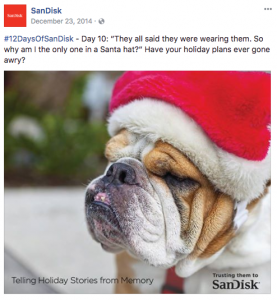 In this blog, you’ll find a step-by-step guide to creating winning holiday and event-centered content on social media. Content creators believe in their capacity to spin and create on demand. However, this is no reason to not have a comprehensive content calendar—especially when you are working in a fiercely competitive space that pushes out new content at an alarming pace. A content calendar lends some structure to your creative process. More importantly, it alerts you to content opportunities that you should make the most of. Creating and maintaining a content calendar involves work at the beginning of every quarter or year with periodic revisions every week or month. It is best to put down events and social media holidays that are relevant to your industry well in advance. This way, you can assemble the material you need to build your content around, get the resources—people and dollars—that you need, and facilitate any other necessary steps to set you up for success. There are several social media holidays calendars that are available online, free of charge. For instance, we created this list of strange holidays that are off the beaten path but have proven to be engagement hits for brands able to create content around it. You can use these lists to see what holidays are relevant to you and your business. This step spills over from the earlier one. When you create your content calendar, you can identify events to create content around. Even marketing in real time can be tackled with preparation and readiness. This involves using data to take calculated risks in content creation as and when the opportunity arises. Even though you might not be able to prepare in advance for an event that gets audience attention, based on data you can make a safe bet on the kind of content that will win you points. It is key that you evaluate whether something like this is worth your time and effort. You might find 10 events or social media holidays in your calendar every month. It is important that you see which ones have brought engagement into your vertical. Every event might prove to be more successful among certain demographics than others. Testing content opportunities for how appealing they are to your target audience is important. Data-driven creativity should be your watchword. A content discovery platform can show you what is trending currently and what content has worked in your vertical in the past. Social media analytics tools can help you arrive at the more intricate metrics, like audience size, distribution, and reach. As you are already tasked with creating content for your brand, it is pretty safe to assume that you already have a clear picture of your target audience. Even with a holiday like Christmas, which is relevant to many brands, the way your company approaches it differs based on your audience. Let’s look at a couple examples of brands with different audience demographics: Kenmore’s fans are primarily older, married women while Sandisk has a higher concentration of young, single women. Observe how their message is addressed at their respective target groups. The pain-points they seek to address and the angle they are talking to their audiences differ greatly. Whitespace analysis is a great way of identifying content opportunities that lie outside of what you consider relevant for your business. You can win engagement by locating overlaps in your fan demographic and that of another brand, which might be in another industry altogether. Look to understand what they concern themselves with because their content could be a great source of content inspiration. Engaging content such as this gives you a clear indication of what works for your audience. This is a valuable input on how to position your content. When you create content around a holiday or an event, you run the danger of losing focus on why you are creating that piece of content. A brand may produce different pieces of content that address different intent. Some brand content may not advertise their products or even carry the logo, especially in the case of the more CSR oriented content. As part of their Labor Day campaign, Chevron posted a video on Facebook which celebrated all the work that laborers have put in that allows us to enjoy the Labor Day weekend. By doing so, the brand earns goodwill by celebrating the unsung heroes. This goes hand-in-hand with the idea that Chevron helps their customers reach where they want to be. If getting the word out about your product is what you are going for, make sure that there is a fit between the holiday that you are writing about and your content. You don’t want to be the first one to get to a party, nor do you want to turn up when no one’s going to miss you. After you’ve put so much work into a piece of holiday content, the last thing you want to see is it tanking when it comes to engagement. The diktat on timing varies from industry to industry. For example, with shopping-heavy holidays like Christmas, most retail brands start putting out content months in advance and up until it’s over while B2B may want to delay the holiday season campaigns and promotions until later. Only by constantly monitoring and testing your holiday content can you get a clear idea on what is working for your brand. 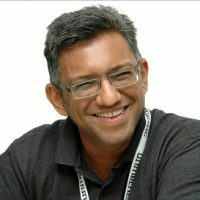 You can also get the help of a content ideation engine to see what content has worked out well in your sector and when. 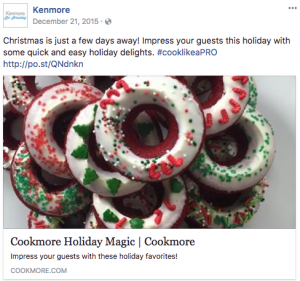 With these guidelines, you’ll be able to leverage social media holidays to increase engagement and gain traction in your vertical. Develop your strategy and don’t be afraid to think outside of the box. I’d love to hear about how you utilize social media holidays with your brand. Tell me about your methods in the comments.